Superchargers are Tesla’s solution to electric vehicle fast charging. 15-30 minutes at a Supercharger station is all that’s necessary to get the battery recharged to get back on the road. Plus, Tesla has invested heavily in building out a network of Superchargers so that Tesla drivers can go anywhere. Take a look at the map below. The biggest benefit to the Supercharging network is that it allows Tesla drivers to go anywhere in the country. Looking at the above map, you can see Superchargers strategically located in lines along highly traveled areas and major highways. This level of support is unmatched by any other automaker or DC fast charging provider. The key to using this network is to understand that Supercharging is not meant to charge your car’s battery to 100 percent. Supercharging is meant to charge your battery to the point that you have enough electricity to make it to the next Supercharger on your route until you get to your destination. 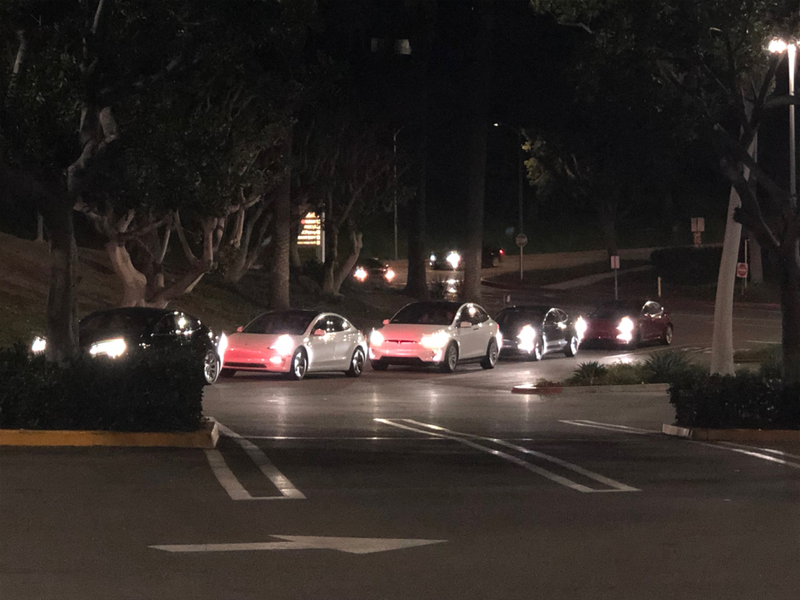 Once at your destination, Tesla recommends using one of their Level 2 Destination Chargers, strategically located at places like hotels and restaurants, to recharge. All Tesla models have trip planner built in to the navigation system. If your destination is further than your car’s range, the system will automatically plan a route that includes stops at Superchargers and estimates on charging time. It makes planning and executing road trips a breeze. Tesla Supercharger users pay either per kWh of electricity delivered to the car, or per minute spent at the station. This cost will be a little bit higher than charging at home is since Tesla has to cover the cost of building and maintaining each the stations. Filling up at a Supercharger is still cheaper than filling up a conventional car with gas. Prices from Tesla’s website. They may vary from station-to-station, even within the same state. All vehicles ordered before January 15, 2017 and delivered before April 15, 2017 come with free lifetime Supercharging that follows the vehicle. Tesla offered lifetime Supercharging through its referral program until September 2018, but it was only available for the original purchaser of the car and does not transfer. Model S and Model X vehicles ordered from April 15, 2017 through November 2, 2018 instead include 400 kWh of annual Supercharging credits, good for approximately 1,000 miles of driving. Over the years, Tesla has offered free supercharging as part of its referral program. Those referral perks are non-transferrable. 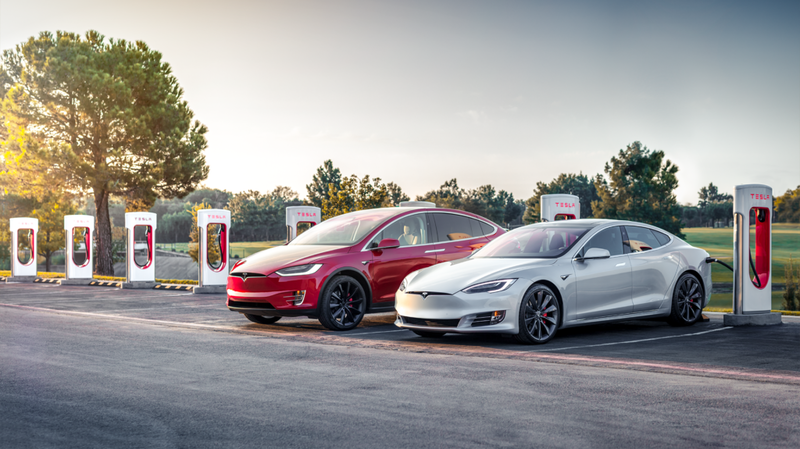 On March 21, 2019, Tesla reintroduced its referral program – the chief perk of which is 1,000 miles of free Supercharging (about 400 kWh) for both the new car buyer and referring owner. When should I use a Supercharger? Supercharging is best reserved for long-distance travel. One should not consider Supercharging for their daily charging needs since daily Supercharging will reduce the life of the battery. Additionally, it’s both cheaper and more convenient to charge up at home. With a gas car, filling up is an errand – you need to stop somewhere to put fuel in your car. With an electric car you can refuel your car every time you get home while you use your time for something else, like sleeping. Secondly, Supercharging stations in areas where Tesla is popular can become very crowded due to high demand. Lines can form and leave drivers waiting 30 minutes just to pull up and plug in to the Supercharger. A home charging solution allows you to bypass the wait. Finally, a side-effect of building a Supercharger network along highways for long-distance travel is that many Supercharging stations aren’t so conveniently located to where people live, necessitating a drive out of the way to charge up. While Tesla is changing this with Urban Superchargers in parking garages and places like grocery stores, it still isn’t the norm. Is lifetime free Supercharging even worth it? Lifetime free Supercharging is only transferrable for Model S and Model X vehicles purchased before January 15, 2017. Combine that with the fact Tesla rolled out a couple of desirable upgrades for both cars in that period and they accidentally created a highly desirable “unicorn” car. In April 2016, Tesla rolled out the new front fascia for the Model S. In August that same year, they rolled out Autopilot 2 Hardware – necessary for Enhanced Autopilot and Full Self Driving features. There was only a four-month period during which cars came with those and transferrable lifetime free Supercharging. Due to the limited period during which all these features were available at once, they’re fairly rare cars. They usually aren’t for sale for very long before somebody snaps it up. The hassle of finding one means it may not be worth turning down a good deal on a car that has everything you want. Especially since Supercharging doesn’t cost that much. A full charge costs less than a tank of gas, and you’re only meant to charge as much as you need to get to the next Supercharger to continue on your trip. Many charging stops cost less than 20 bucks. If you only take one or two road trips per year, free Supercharging may not even save you $100 compared to a car that doesn’t have it. The ideal way to operate an electric vehicle is to unplug it in the morning, drive wherever you need to during the day, and charge it back up at home overnight. The extended period a car sits while its driver sleeps allows for ample time to replenish a full charge. Your home is your fueling station, there’s no need to go anywhere to recharge your car on a daily or weekly basis. 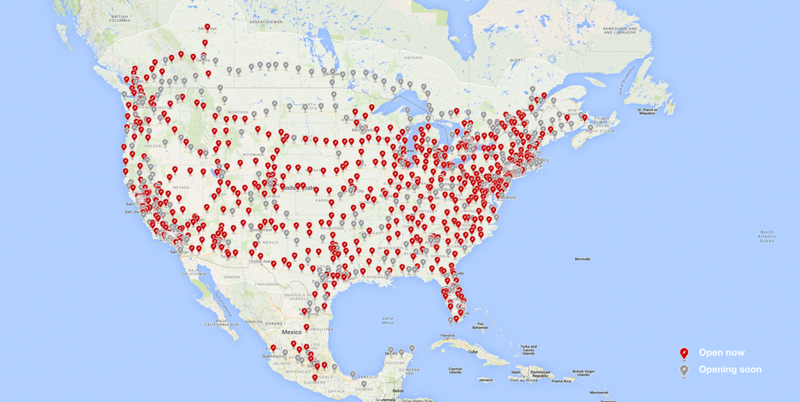 The existence of Tesla’s Supercharger Network eliminates range anxiety. These cars can be recharged and get back on the road in less than 30 minutes – perfect for a quick break to eat after 3+ hours of driving. They can go anywhere in the country and tackle the great American road trip with ease. Depot or Lowes. Home fast changing can be installed for about $50 by using the same electrical gear as used to install an electric range. 50 amp circuit breaker, several feet* or more of #6 gauge THW cable (220-240 kw) and a connector box & plug – about $40.